Exclusive! Heed these wise words and encourage friends and loved ones to do the same. 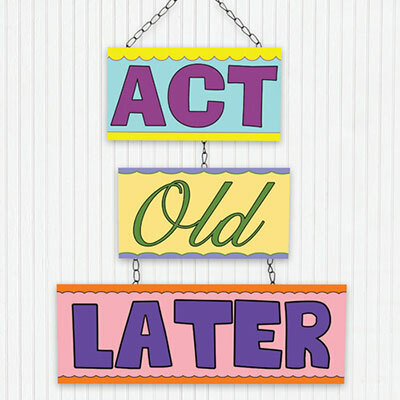 Three-part Act Old Later! Tin Hanging sign with life message hangs from sturdy link chains. Approx. 20"h. Hurry! Quantities are limited!